Now on with a look at the spec sheet. The HTC Vivid packs two Scorpion cores, clocked at 1.2 GHz and a Qualcomm Snapdragon chipset. There is a gig of RAM and 16GB of built-in memory on board, which can be expanded via a microSD card. 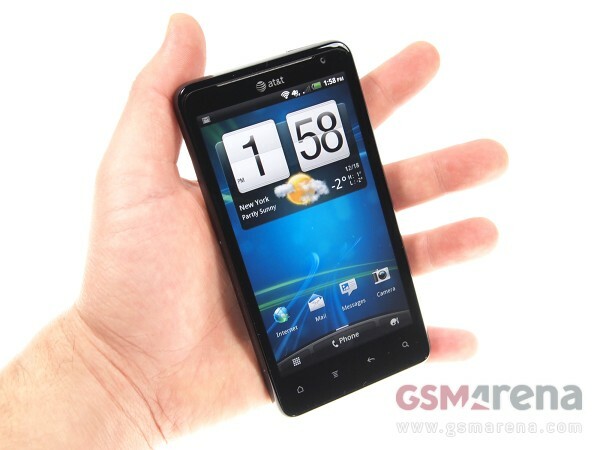 Like we already mentioned above, the HTC Vivid features a 4.5″ S-LCD screen with the familiar qHD resolution. The 8MP camera with dual LED flash is capable of recording 1080p videos. A 1.3MP front-facing unit will help you with the video calls. The LTE network compatibility of the HTC Vivid is complemented by the usual set of options, which we’ve come to expect from a device of this stature. The HTC Vivid measures are massive. They are 128.8 x 67.1 x 11.2 mm, while the device’s weight is the whopping 177 grams. A 1620 mAh battery is in charge of keeping the smartphone going. There are absolutely no surprises in the software department of the HTC Vivid. The device runs Android 2.3.4 Gingerbread, dressed in HTC Sense 3.0 – we’ve seen this combination on quite a few HTC smartphones by now. Below is a video of the device in action. A full review of the HTC Vivid is in the works. Stay tuned!